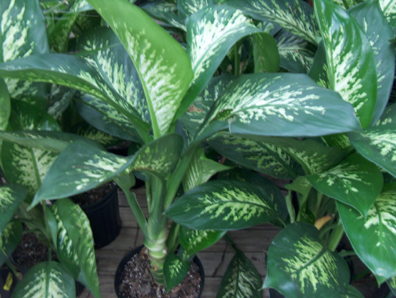 Comments: Some of the easiest to grow of the dieffenbachia and will tolerate low light situarions. Like others of this genus, it has white insignificant flowers. It sap cause skin rash and, if ingested, may cause death. Mealybugs a pest of this plant.